This book is a pioneering study that reconciles the traditional understanding of the Vedic gods, taken as the constituents of the indivdual’s consciousness, with new discoveries of neuroscience. This book will be useful to scholars of religion, psychology and the emerging new science of consciousness. Subhash is an acclaimed scientist, historian and Vedic scholar who is currently a Professor at Louisiana State University. The virtue of the book is that it uses the prism of neuroscience to evaluate the claims of the Vedic approach to mind and consciousness. This makes it accessible to readers who may not know — or care to know — the complex symbolic language of the Vedic system. Goddess worship has long been a significant aspect of Hinduism. 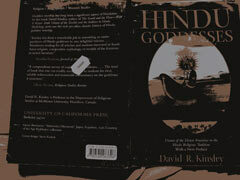 In this book, the author sorts out the rich yet often chaotic history of Hindu goddess worship. David Kinsley’s work is always thorough – this book is no exception. Each chapter details one Hindu Goddess, including rituals, poems, texts, and background. It is an interesting read and a great place to start researching a particular Goddess. My only complaint is that the pictures are of really poor quality and there are not enough to give a real feel for these Goddesses. 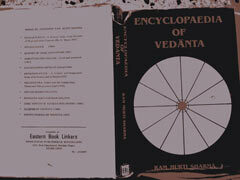 The encyclopaedia of Vedanta is first of its kind, and it took 10 years to complete. The encyclopaedia has been divided into three parts. 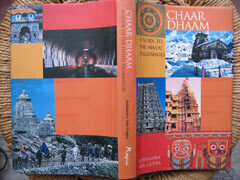 The first part deals with Vedantic terms and words, like Brahman and Avidya. While presenting the study of these terms, the apt quotations and references have been incorporated. Wherever necessary, a critical and doctrinal explanation has also been added to. In the second part, a description about the contribution of significant western scholars in the field of Vedanta has been given. The third part deals with the Sankaracaryas and their Mathas and some indians scholars and philosophers of Vedanta. The “Panchatantra”, is a collection of Indian animal fables, known in Europe as the Fables of Bidpai. The original work was in Sanskrit, and could have been written anytime between 100 BC and 500 AD, though some of the tales contained in it can be traced as far back as 1500 BC to the Rig-Veda. The original text is a mixture of prose and verse, with the stories contained in one of five frame stories. The introduction, which acts as an enclosing frame for the entire work, attributes the tales to a learned Brahmin called Vishnusharma, who used these stories to teach worldly wisdom to the three dull-witted sons of a king. 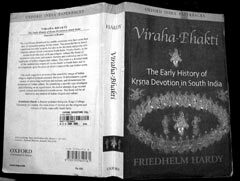 This book presents a detailed study of the multifarious origins of Viraha-Bhakti in South India and its developments up to the point at which it entered the pan-Indian scene. A detailed study of the multifarious origins of a specific type of Krsna religion. Hardy charts its developments up to the point at which it entered the pan-Indian scene.